Charleston Voice: Secessionist Movements Grow Across U.S.
Secessionist Movements Grow Across U.S.
With dissent higher in this country than it has been in decades, a number of secessionist groups are asking the question: Would certain states or territories be better off if they seceded from the union? On August 16 AMERICAN FREE PRESS interviewed Thomas Naylor, the founder of the Second Vermont Republic, which is at the forefront of America’s secessionist movement. When broaching the subject of states’ rights, Naylor objected: “I don’t even accept the premise of that question because all of the entities I just mentioned will never let it happen. 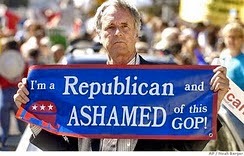 Although there exist hundreds of secessionist organizations, a few of the more prominent ones combine an anti-authoritarian streak, disgust with electoral politics, tinges of anarchy and libertarianism, plus a repudiation of corporatism and the permanent U.S. war economy. Still, differences exist. The Texas Nationalist Movement primarily focuses on unbridled spending at the federal level and how, sometime in the future, their state’s prosperity will be plundered to bail out others like California. Farther north, the Alaska Independence Party (AIP) boasts more than 15K registered members, at one time even including Sarah Palin’s husband, Todd. In 1990, Alaskans elected Walter Hickel, an AIP candidate, as governor, but only because he joined their ticket after getting bumped from the GOP primaries. Nonetheless, AIP is recognized as Alaska’s 3rd-largest political party with 4% of total state voters. If economic woes in America persist, this would provide a perfect launching pad for all these organizations to come together to support secession. 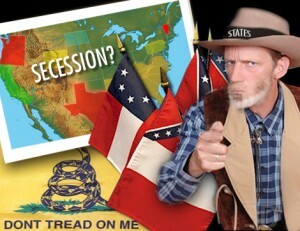 Source>>Secessionist Movements Grow Across U.S.